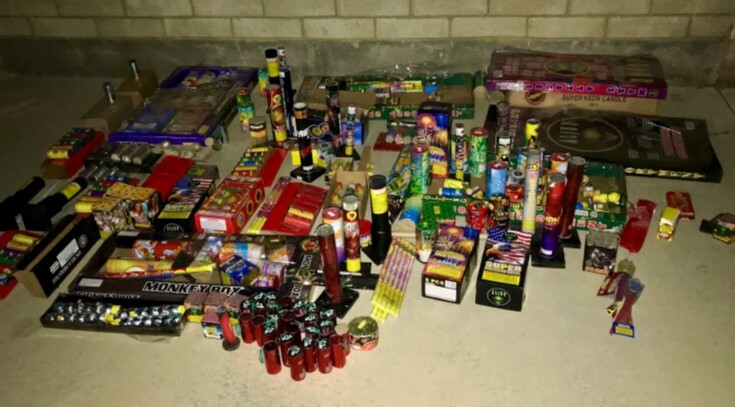 PALMDALE – The city of Palmdale is reporting that 15 citations were issued to individuals using illegal fireworks between July 1 and 5. The city’s illegal fireworks ordinance, which began in 2007, carries penalties of $2,500 for a first offense, $5,000 for a second and $10,000 for a third. Since its inception, 220 citations have been issued. The Palmdale Sheriff’s Station received 309 calls, and confiscated 100 pounds of illegal fireworks. There were also 19 fires in Palmdale due to illegal fireworks. No significant major incidents, such as structure fires, occurred related to fireworks and there were no injuries. Illegal fireworks in Palmdale are all fireworks that are not “Safe and Sane” fireworks, which bear the official seal of the State Fire Marshal, and all fireworks in no-fireworks zones including “Safe and Sane.” The non-“Safe and Sane” illegal fireworks are the kinds that shoot up in the air and explode, such as bottle rockets, Roman candles, firecrackers, M-80s and so on. Other than State Fire Marshall approved “Safe and Sane” fireworks in cities where they are legal, no fireworks may be sold legally in California. According to the California Fireworks Newswire, large, out-of-state operations are shipping massive quantities of aerial displays and exploding items directly into California using independent truckers or via the internet. This creates immense challenges for all cities across the state. 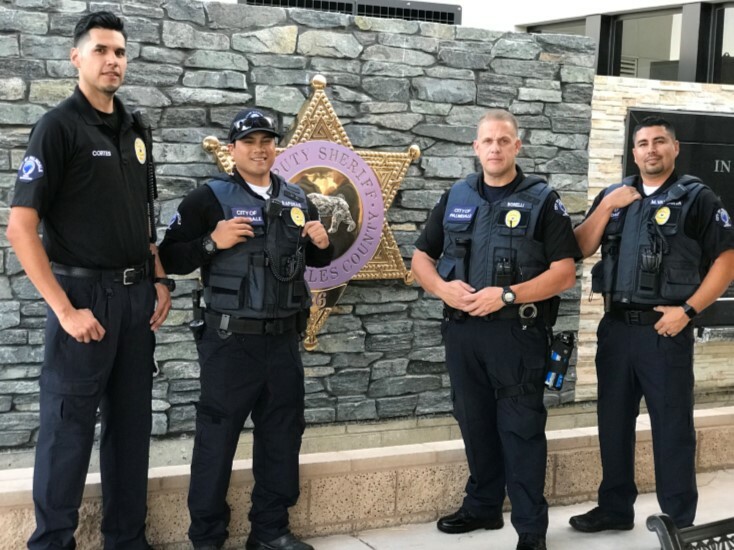 The Los Angeles County Sheriff’s Department posted a time-lapse video of the City of Los Angeles on the night of July 4, which shows what law enforcement agencies have to deal with related to the use of fireworks. View the video here: https://www.facebook.com/LosAngelesCountySheriffsDepartment/videos/2269559679737599/. For more information about fireworks enforcement in Palmdale, call the city’s Neighborhood Services Department at 661-267-5126. 26 comments for "Several citations issued for illegal fireworks"
Fireworks,it is a brainless activity, pop pop pop. Spark, sparks, spark, no melody, no harmony, no beat, can’t dance to it, can’t sing to it . You just sit there mindlessly looking at sounds and watching lights, Like a low I.Q.ACTIVITY. Hey Pancakes, take your white robes and sheets and your confederate flags over to the Antelope Valley Voice. That’s the forum to express this sort of thing. They may even make you a moderator. Of course no other music goes umpa..umpa..umpa…poom…poom…poom…poom. Ever hear of Volkstümliche Musik, aka German/Bavarian oopma? Polka? Racists statements sound like racist statements. Please. Try the Antelope Valley Voice. The news keeps saying the illegal fireworks are coming from out of state. That’s a complete PC lie. They are coming up through the open Mexican border. Pathetic that law enforcement only gave out a few citations. Their were thousands of people setting off these illegal Mexican and Chinese fireworks in the AV. Same thing happened last year. Law enforcement went around bragging that they gave out a few citations. Pathetic. Of course AV law enforcement also lie constantly by says crime in the AV is way down. The number of citations for the real number of people setting off these illegal fireworks shows you just how they calculate their fake number. Could you define what you mean by “open Mexican border”? Or do you even know? I used to be able to go to Mexico and back just by showing my California driver’s license. Now I have to have a passport. But I can still go. Are you trying to say that I shouldn’t be allowed to travel to a neighboring country? If that’s your goal, explain why I shouldn’t be allowed to do so. I think you are just another mindless Trump parrot, but perhaps you actually have some answers here. Waiting. Ah,the name calling.and trump bashing.much to do about nothing. Maybe view the cbs video released yesterday,you know the one showing the open border crossing,live on camera. Oh and turn the page on the lib speak.time for fresh round of made up excuses. The open borders of Nevada and Montana. Robbie, Mexico is ‘out of state’ in case you did not notice. But loads of fireworks come in from other states in our grand union that produce said fireworks. Easier to drive a truck across state lines than international borders. I don’t know for sure,but after nafta,certain trucks have free unfettered access to and from Mexico and u.s.
That’s according to u.s truck drivers. I suppose fireworks could come in,along with illegals,drugs,and maybe a nuke. You see it all the time,truck found in u.s with illegals in it.how did they get in? Possibly drove across border loaded. Also possible, and likely it was on this side of border at a small farm, and loaded there. In San Diego area, the tunnels sometimes lead to a warehouse with trucks. Well, Robbie, you have a year to recover. Not necessarily. In my neighborhood there are usually a bunch of illegal fireworks at New Years too. A bunch of old people complaining. I will say the task force waz a waist of money less then twenty tickets written out of the hundreds of fireworks flying in the sky. Yes ! Independence Day shall be celebrated one night only not year around !! People are ignorant for not doing so!!! And also irresponsible!! The law actually allows the use of fireworks in California cities that sell fireworks the first seven days before the 4th of July. As much as I love the 4th, this year and last year we’re too much for me. Illegal Fireworks started in June and went on every night until July, I still hear them coming from somewhere in the neighborhood every night. I kinda wish the city would ban fireworks in general and do more shows for the residents. There were fireworks shows in Palmdale and Lancaster and they did nothing to stop all the illegal fireworks. My friends in the San Fernando Valley said it was bad there. Illegal fireworks are banned but there are just too many people who disregard the law and have no concern for their neighbors. They sure didnt patrol my neighborhood, there was illegal fireworks going off for a few nights very loud scaring my dog. Please BAN fireworks theyre dangerous!!!!! !